On the BA (Hons) Fine Art course, you’ll benefit from the expert guidance from our experienced teaching staff. You can read more about their specialisms by exploring their profiles below. Supporting the fine art course through a wide range of technical skills and applications including (3-D, digital media, painting, sound). Born in 1976, Zoë Sinclair grew up in Poole, and studied at the AIB and then Central Saint Martins, London. In 1998 Zoë was the first student and second woman to win The Observer Hodge Award. Her collaboration with fellow St Martins alumna Andrea Blood spans over twelve years, they work under the moniker ‘The Girls’. The Girls have exhibited at the National Portrait Gallery, The Photographers’ Gallery, the ICA, and the Los Angeles Center for Digital Art; and have been published in The Guardian, The Observer, The British Journal of Photography and Creative Review. The award-winning duo are currently working on their first book of self portraits. Education: 1998 Central Saint Martins, London BA (Hons) Graphic Design (2:1) Specialisation: Photography 1995 Arts Institute, Bournemouth Foundation Studies. Born in Lima-Peru, 1976. Works and lives between London and Milan. Studied BA Fine Art in Universidad Catolica del Peru. Post Graduate Diploma and a Masters Degree at Byam Shaw School of Art, Central Saint Martins 2003. Recent exhibitions include: Conecting Worlds, Drawing Room, London, The Europe Triangle at the Royal College of Art, as part of Europe (the power of)n Project supported by Goethe Institute, London, Flujos Simbólicos / Movilidades de la Capital, Telefonica Foundation, Lima, Solo show Parts of the Face are Not Likely to Move Much Either, Peruvian Embasy in London. 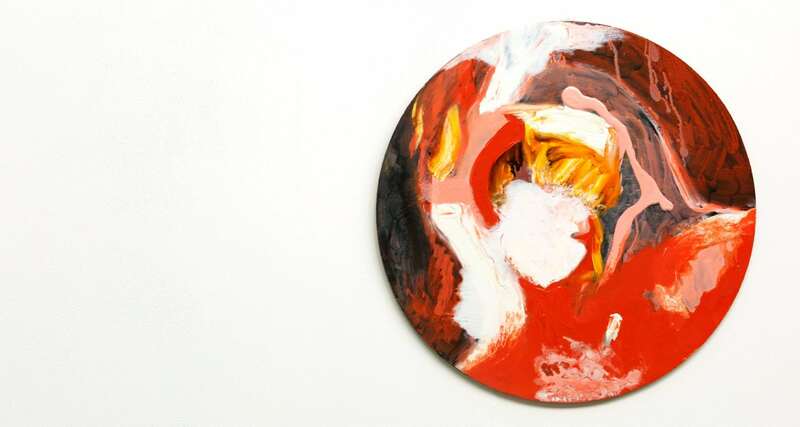 Awards include Jerwood Contemporary Painters 2007 y Marmite Painting Prize 2019, as well as The Cow House Recidency, Wexford Art Centre, 2010, Wexford. Laura’s practice encompasses printmaking, film and artist’s books. The starting point of her work is often a found object or image, which she explores using collage, drawing or photographic techniques and develops through a variety of printmaking processes, such as etching, photo-litho and screenprinting. (R. Cardinal: ‘The Case of Kurt Schwitters’, cited in ‘The Cultures of Collecting’, Ed Elsner and Cardinal, 1994). Since 2009 Laura has worked with unwanted books and has facilitated an annual ‘Altered Books’ project in Bournemouth Central Library with AUB students and members of the public who transform the books into all manner of objects and interpretations. Laura works mainly with printmaking and artists books, alongside teaching and delivering arts education programmes in diverse contexts including the National Trust, the British Library, Arts University Bournemouth and Bournemouth and Poole College. An example of her artist residency at Southampton University Special Collections can be seen here.